Perhaps the most famous is the Loch Ness monster, which has been back in the news recently, thanks to the discovery of a nine-metre long object at the Scottish lake. Let us examine the arguments that can be reasonably put forward for the existence of a “monster” in Loch Ness. The first written report of an unusual aquatic creature in the proximity of the lake dates back to the seventh century. But medieval texts aren’t terribly reliable, as they often include monsters and supernatural creatures. We have to wait until the end of the 19th century for the next sighting. Interestingly, the eminent English palaeontologist William Daniel Conybeare described the first fossil skeleton of a plesiosaur about 50 years earlier, and these prehistoric animals rapidly captured people’s imagination. Could this have affected the sightings that came in the years that followed? If we exclude the plethora of anecdotal accounts that occurred in the 20th century, the “evidence” so far is in the form of photographs and movies, which sceptics dismiss as floating logs, seals or hoaxes. Then there are sonar images, which unbelievers claim to represent fish schools, algal blooms or echoes from submerged cliffs (or even movie props). Some scientists argue that a giant aquatic reptile would have a hard time surviving in the frigid waters of the Scottish lake (around 5℃, on average). But sea turtles are large reptiles as well (some exceed 200kg) and they can thrive in the cold waters off the coasts of Iceland and Alaska. 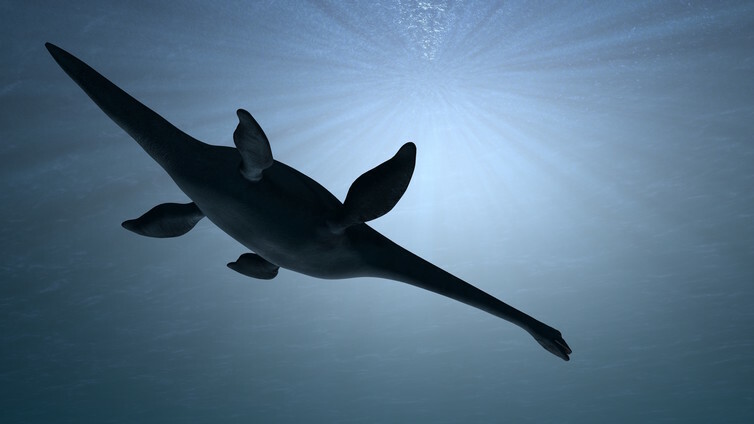 A study by French scientist Aurélien Bernard and colleagues, published in Science in 2010, examined the oxygen isotopes extracted from the fossil bones of plesiosaurs. The isotopes showed that these animals were likely capable of adjusting their body temperature (endothermic), and were therefore capable of surviving in relatively cold waters. However, unless Nessie is a fish, it would need to surface regularly in order to breath and so its apparitions should be fairly frequent. But they are not. Such discrepancy could be explained by the peculiar body shape of the creature, purportedly looking similar to a plesiosaur. The small head located at the end of a long neck would make it easy to conceal the body in the murky waters while only its nostrils break the surface for a few gulps of fresh air. But there is another problem that makes the existence of such a creature extremely unlikely. Nessie cannot possibly be a single creature that has survived for thousands of years. What we call Nessie, if real, must be a population of several interbreeding animals that made it to our days. Population biology tells us that only two interbreeding animals would not be enough for a species to survive. But, if we have several Nessies, why is it so hard to see these creatures? The lake was sealed off from the ocean at the end of the last Ice Age, at least 10,000 years ago. Any population in question must be somewhere in the lake, if it actually exists. What’s more, animals die. So why hasn’t a carcass of one of these animals been found? New species of large animals do turn up unexpectedly every now and then. The Coelacanth, a fish thought to be extinct for millions of years, was caught off the coast of South Africa in 1938, and the megamouth shark is another living fossil discovered only about 40 years ago. But these are creatures that live in the ocean, a very poorly explored part of our planet. Considering how much attention has been devoted to exploring the waters of Loch Ness in the past few decades, with sonars, submersibles and the like, I would be very surprised if a creature the size of a plesiosaur was actually living down there. 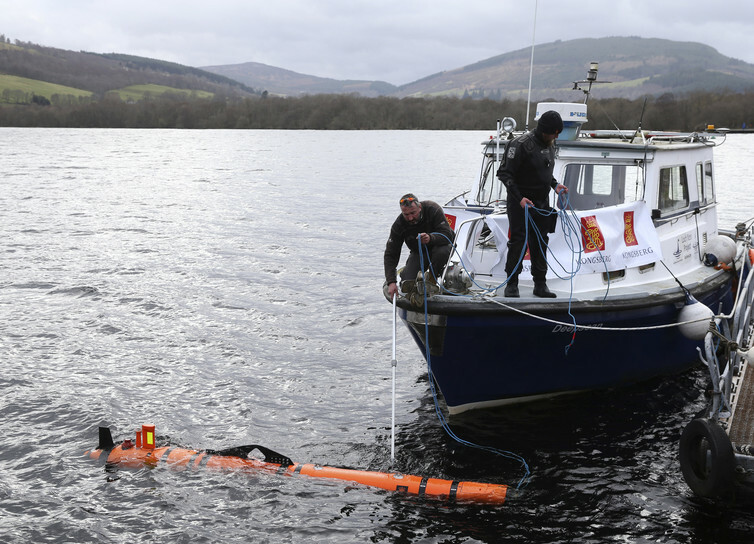 So I ask again, why are we still searching for the Loch Ness monster?